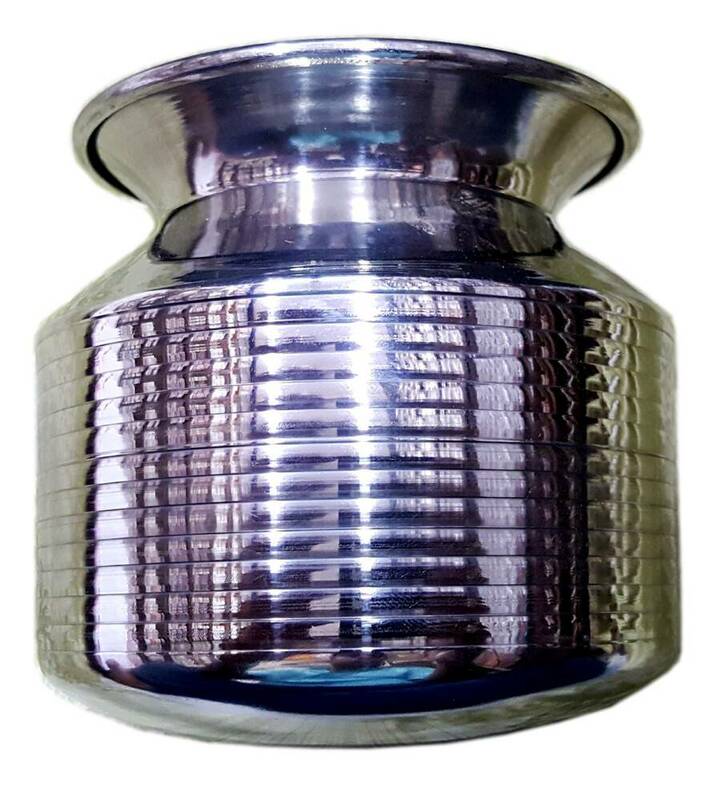 Stainless Steel Lota (water cup). 3.5 inches. Can be used for drinking from and can also for taking bath, etc. Currently viewing: Lota (Water Cup) - Stainless Steel - 3.5"